These colorful Fall necklaces form Lisa Storms are a great way to dress up a plian long sleeve t-shirt this fall. And since 90% of my wardrope consists of plain t-shirts, these could come in handy. I will spare you the stroy of my husband discovering I owned 5 white t-shirts. 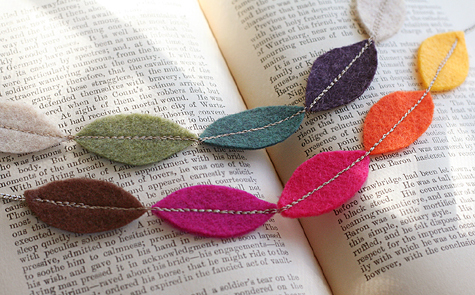 You can check out the tutorial on how to make felt Fall necklaces over at Fiskars.